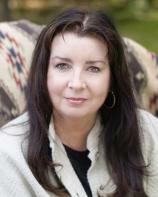 Award-winning author Melody Carlson has written approximately 200 books for all ages. Besides the popularity of her issue-focused teen novels, perhaps she is most known for her annual Christmas novellas. In recent years, readers have been treated to heartwarming stories like THE CHRISTMAS PONY, THE CHRISTMAS SHOPPE and CHRISTMAS AT HARRINGTON’S. This year, Carlson brings us A SIMPLE CHRISTMAS WISH. Single flight attendant Rachel Milligan is babysitting her seven-year-old niece, Holly, while Rachel’s brother, Michael, and sister-in-law Miriam are away on a holiday vacation. After a fun day of setting up the Christmas tree, making homemade ornaments and drinking hot cocoa with her niece, Rachel puts Holly to bed. Just as she’s about to hit the sack herself, the phone rings, and the caller informs her that Michael and Miriam were killed in an airplane crash. After reeling from shock, Rachel calls her best friend, who comes over and offers an ear as Rachel cries, processes what happened, and tries to figure out how to break the news to her niece. Rachel also considers the future. She definitely wants to keep Holly with her and needs to make arrangements for permanent custody. "As far as Christmas novellas go, A SIMPLE CHRISTMAS WISH is perfect for curling up for a couple of hours in front of the fire. This heart-stirring tale will remind you of what is truly important and add a touch of warmth to your holiday season." Just as Rachel is getting used to the idea of being a “mother” to her niece, she receives some devastating news. Her brother and sister-in-law had a will stating that, in the case of their deaths, Holly is to be raised by Miriam’s sister, Lydia, who Rachel hadn’t even known existed. More than that, she is stunned to learn that Lydia is Amish. Now, on top of losing her parents, Holly is about to be torn away from the only family she knows, and forced to give up everything for the completely different and unfamiliar Amish life. Rachel begrudgingly heads to the Amish community with her niece, in hopes of convincing Lydia to waive her rights and allow Holly to stay where she belongs --- with Rachel. But it’s not as easy as she hoped. While Holly is well received, it’s clear that Lydia is not happy when a snowstorm prevents Rachel from leaving. Now the question is whether Rachel will be able to use her extra few days to change Lydia’s mind or if they would be better spent enjoying the time she has left with Holly before she is forced to leave her behind for good. Once again, Carlson delivers a winning story for the holiday season. Although a 168-page novella doesn’t provide much room for deep character development, Rachel comes across as genuine and easy to relate to. The relationship between Rachel and Holly is touching, and the fact that they are being torn apart tugs at the heartstrings. The selflessness displayed by the main character is admirable. There is never any uncertainty in Rachel’s mind about being the one to care for Holly. She willingly embraces the idea of full custody and genuinely wants what is best for her niece. The Amish angle is smart and effective, as the Amish genre is still as popular as ever. This isn’t the first Amish story Carlson has written, and she does a great job portraying the religion in a believable manner. One fact to note is that the character of Lydia comes across as unlikable until the very end, when her motivations are revealed. As far as Christmas novellas go, A SIMPLE CHRISTMAS WISH is perfect for curling up for a couple of hours in front of the fire. 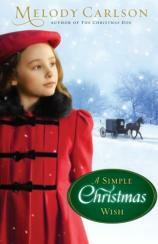 This heart-stirring tale will remind you of what is truly important and add a touch of warmth to your holiday season.